Challenge yourself, bike in Italy! Are you a serious rider? Do you find joy in tackling steep climbs and rejoicing as you push yourself to new limits? This is a road bike tour in Italy is for you! 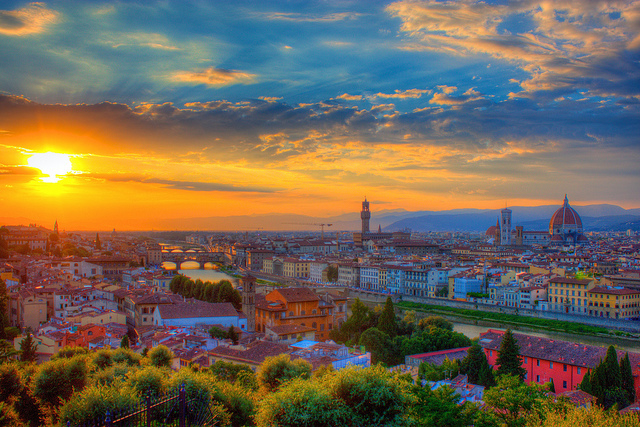 Discover why biking in Italy is so special. 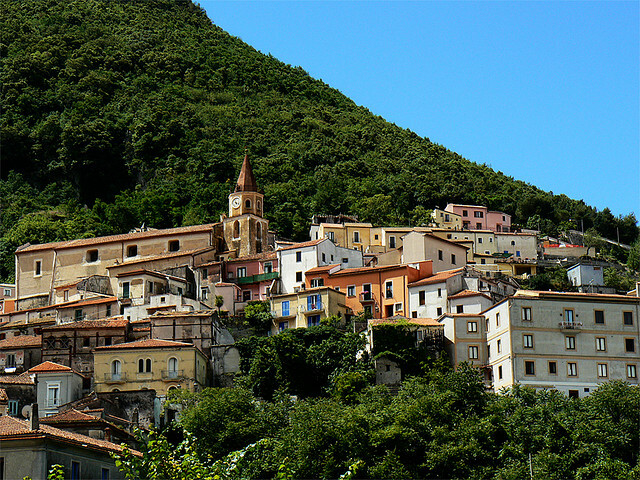 Take an amazing journey up and down the backroads and charming villages of the Appennini mountain range. 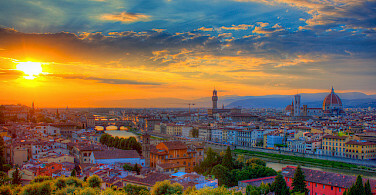 You will cover more than 750 miles in 9 stages and across 9 regions of Italy. 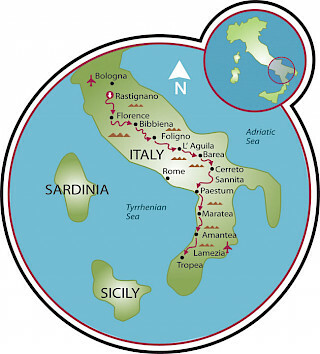 Come and experience the most daring and comprehensive bike tour of Italy to date. Looking for more? 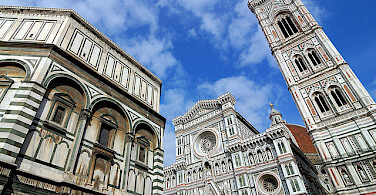 Check out our full list of bike tours in Italy. Fly to Bologna Airport. Depart from Lamezia airport. 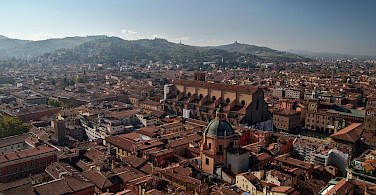 Upon arrival in Bologna, van transfer to Rastignano. 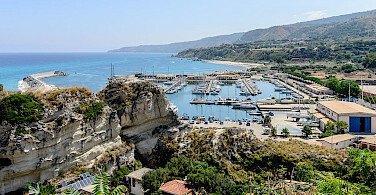 Upon departure, van transfer from Tropea to Lamezia. Please check local conditions before arrival. Average high/low temperature for the region in °F in August is 86/64°. If you are bringing your own bicycle, please arrive one day early. This is necessary for proper shipment of bike case to Tropea. Maximum of 12 participants. Custom tours available for at least 6 riders. 2017 dates on request (minimum of 6 participants required to secure a departure). 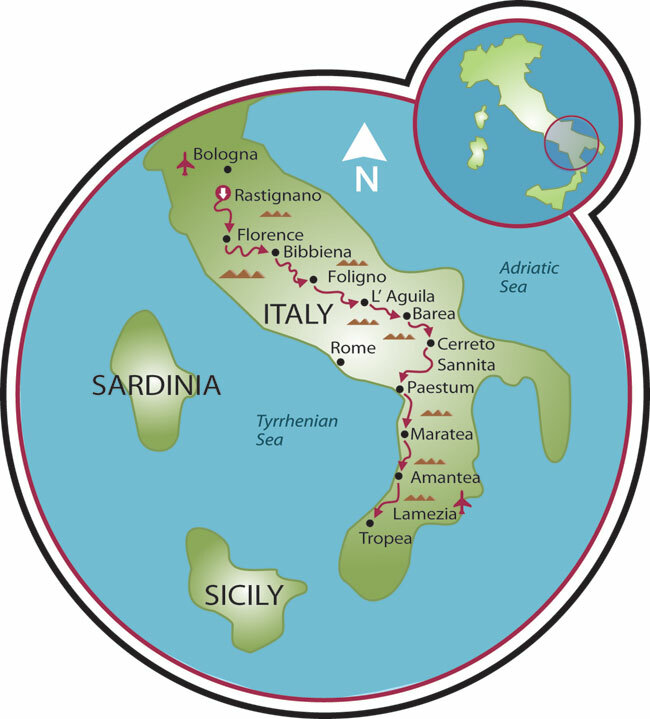 This Italy bicycle tour is very difficult, for advanced riders only. 787 miles covered in 9 stages, average daily climb is 5,429’, average daily distance is 86 miles on challenging terrain. Day 1: Arrival at Bologna Airport. Van transfer to Rastignano. This challenging Italian road bike tour begins appropriately with a long climb to Passo Raticosa. 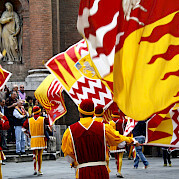 At this point, you are in the Appennino Tosco-Emiliano, the mountains that separate Bologna from Florence. A winding descent follows to Firenzuola and then the second climb begins, peaking at Passo del Giogo. 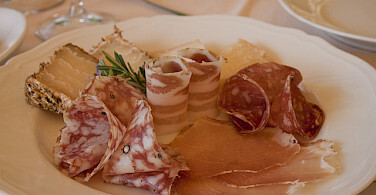 Descending again, you will lunch in Scarperia, a medieval town in the Mugello district. Afterwards, you will cruise the Val di Sieve or Sieve Valley to Dicomano. The 3rd and last summit of the day awaits: Passo Croce ai Mori. After the previous day's many climbs, on this day you will face only one and you will begin your day with it to Passo La Verna in the Casentinesi Forest National Park. This is one of Europe's oldest forests. The descent ends at Pieve S. Stefano where you will start biking the Tevere Valley. 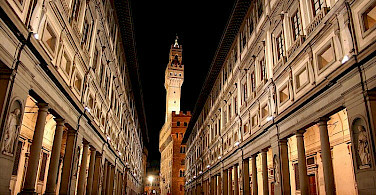 In the beautiful plaza of Sansepolcro, you will stop for coffee and then cross the Umbria border via Citta di Castello. 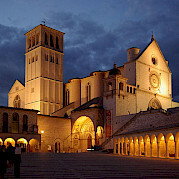 You will pass through some of the finest towns of Umbria. 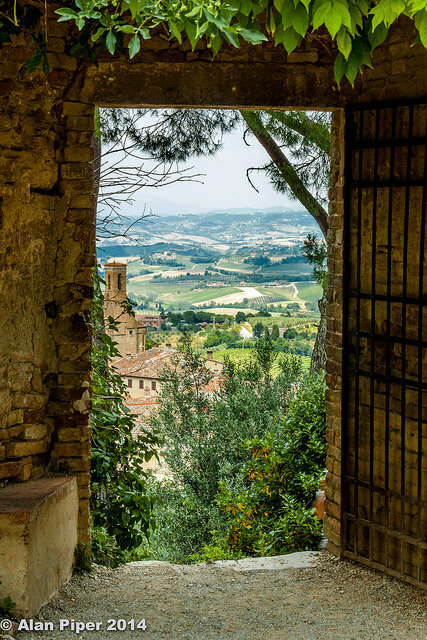 Today you will cycle Umbria, land of saints, truffles, and climbs! The first climb to Valico del Soglio is fairly easy but the 2nd climb is not! It rises and falls for 13 3/4 miles (22 km) with stretches at over 10%. The views will relieve most of the pain as they are spectacular. 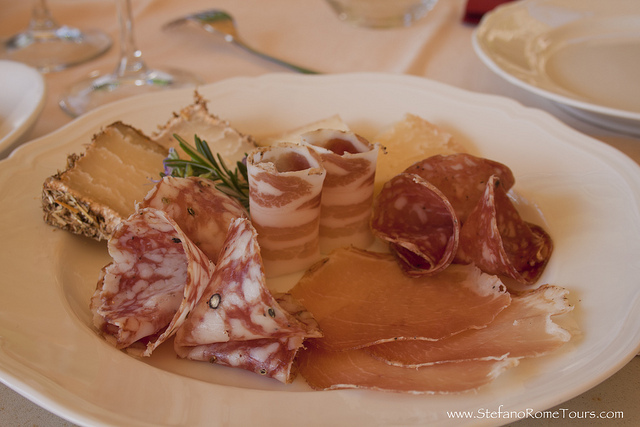 When you reach your summit at the medieval hamlet of Monteleone, you will be more than ready for lunch. This is a town that has a very interesting history if you have time for a little research. The main monument in Monteleone is the church of S. Francesco, with an exceptional Gothic door, probably the best in Umbria; and an attractive cloister now serving as a lapidary museum. Strangely, under the cloister, you can see a second church, complete with a 14-century fresco. After lunch, a descent follows to Leonessa at the foot of the Terminello Mts. 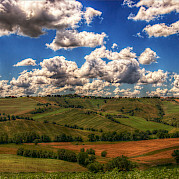 Now you will ride on rolling hills in the lush, green area of Lazio and then into the wild region of Abruzzo. One-third of the region is designated as protected national or regional parkland. The protected areas are environmentally important and are home to rare flora and fauna, such as the brown bear, the wolf, and the chamois. The final miles of the day in the Aterno Valley are relatively easy. 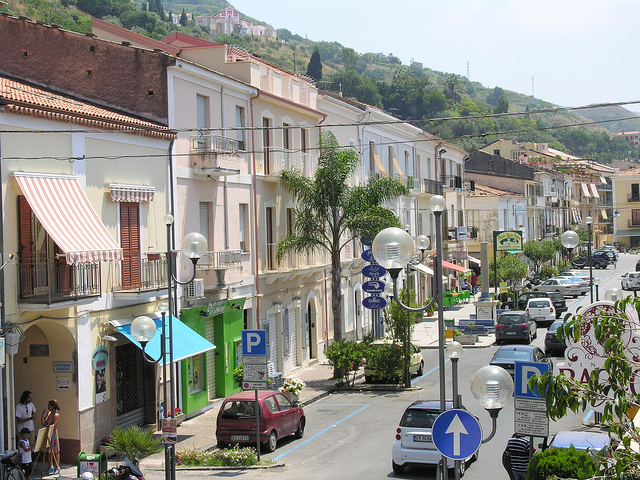 You will spend your night in L'Aquila, the capital of Abruzzo. 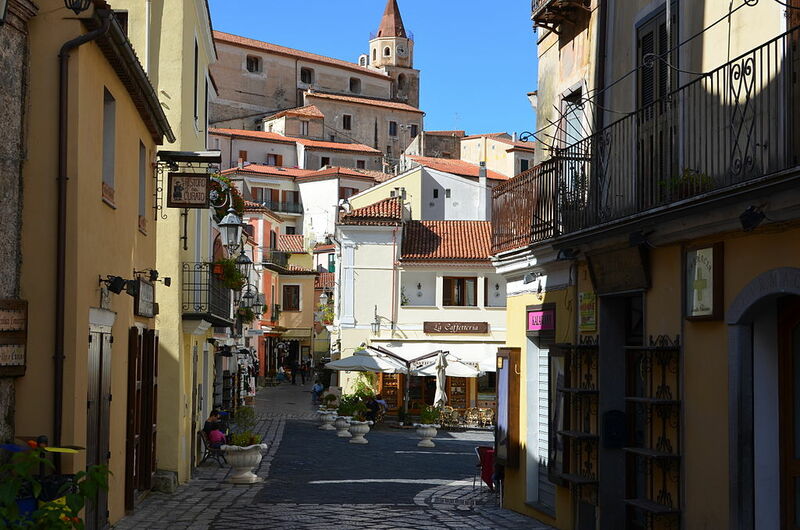 Laid out within medieval walls, L'Aquila sits on a hillside in the middle of a narrow valley; tall snow-capped mountains of the Gran Sasso massif flank the town. 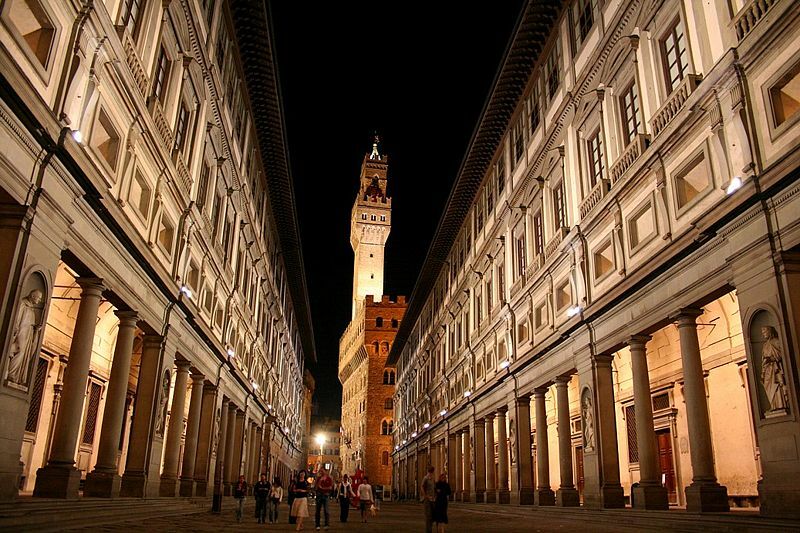 A maze of narrow streets, lined with Baroque and Renaissance buildings and churches, open onto elegant piazzas. 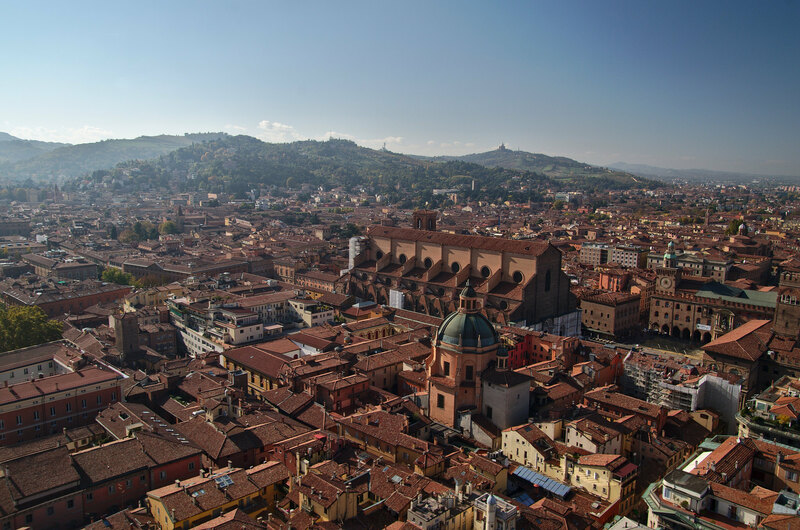 Home to the University of L'Aquila, it is a lively college town and, as such, has many cultural institutions: a repertory theater, a symphony orchestra, a fine-arts academy, a state conservatory, and a film institute. 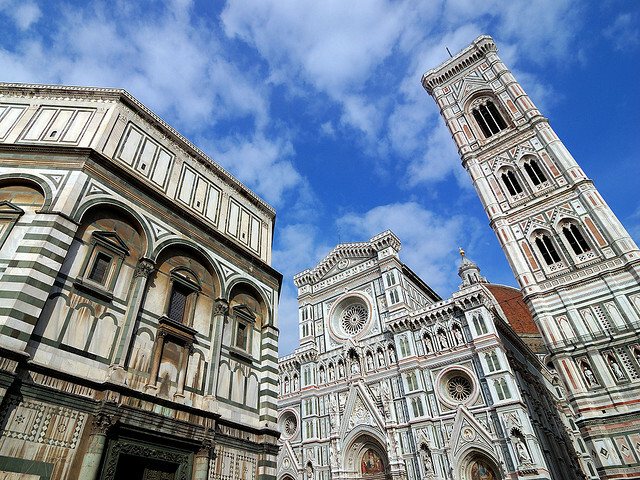 Be prepared for one of the most rewarding days of your tour. For approximately 31 miles (50 km), you will cruise down the Aterno Valley crossing medieval villages deep in the wilderness with endless rows of mountains looming on the horizon. If you are still groggy at this point, you will wake up on the slopes of Mt. Selva with over a 3-mile climb and a 10% grade. The long descent that follows rockets you into the National Park of Abruzzo. The views as you finish your ride before lunch are a feast for the eye. After lunch in Anversa, through a tunnel bored in the rock, you will enter the Sagittario gorges. Riding along a roaring stream and deep canyon, gaining altitude, you will arrive at Lake Scanno, a mirror for the mountains above. Lake Scanno is 3280' (1000 m) above sea level. Waiting now is a long but steady climb peaking at 5347' (1630 m) the maximum elevation of this tour. On the descent that follows, a tour guide has said that he has heard riders scream for joy! You will end this day in Barrea. Overlooking wonderful Lake Barrea from a hilltop in the upper Valle del Sangro, the village has old churches, the walls of an ancient castle and the remains of a pre-Roman necropolis. You will leave Barrea with a short climb that provides spectacular views of the lake surrounded by mountains. 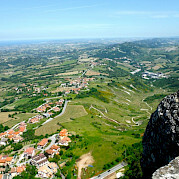 A descent into Alfedena is followed by a climb and another descent into Molise. It is here that the strong of heart will take the high road up to the highlands of the Matese Mts. The weary and faint of heart can remain in the valley. Reunited for lunch in Piedimonte Matese, the tour has now entered the region of Campania and the ride continues on a sweet rolling road passing through delightful villages and ending in Cerreto Sannita, a town with remarkable architecture and famous for its ceramics. Before your well deserved night of rest, be sure to have a swim in the hotel pool. This is the longest stage of the tour and requires an early start. 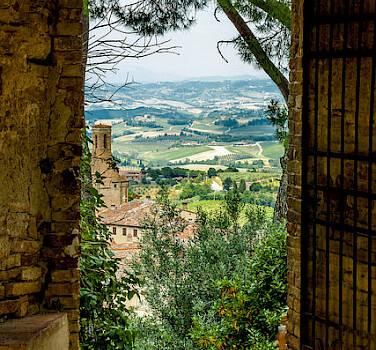 You will ride on a gently rolling road that allows for ample views of the Volturno Valley dotted with villages. 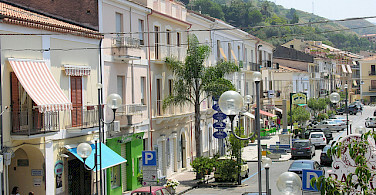 A 3.1 mile (5 km) leads to Fragneto and into Pietrelcina, down again to Benevento and a coffee break. There is nothing like Italian coffee! Cruising along, the tour continues among the vineyards of the Sabato Valley and into the town of Tufo, famous for its white Greco wine. Lunch is after a short climb in Atripalda. The long climb of the day awaits, but first, you will pass vineyards, hazelnut, and walnut groves and then into a thick forest of chestnut trees that shade the steep switchbacks for the climb to the Ogliara Forest. 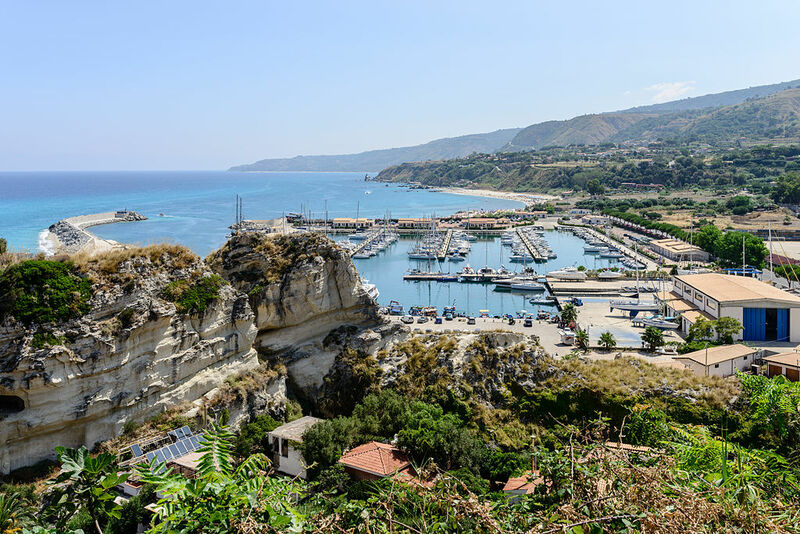 A long descent, short climb, another descent, and then a flat coastal ride to Paestum where the pain ends in a delightful Agriturismo with a pool and outstanding cuisine. You will enjoy your well-deserved rest here in Paestum. Few places will reward you more than the ruins of this ancient Greek community. Unlike Pompeii and even Herculaneum, Paestum can often be deserted, and its gleaming white marble temples, set against the silver mountains and deep blue sea, provide a uniquely Greek experience in Italy. With its impressive and solemn churches and its splendidly preserved walls, Paestum is one of the most famous and important archaeological sites in Italy. The ruins of Paestum include the walls, four majestic and well-preserved temples, other religious buildings, the amphitheatre and the Via Sacra, in addition to other minor remains. Amidst these Greek temples, you will start your day. The road will take you through beach resorts and is mostly flat but a few "bumps" through olive groves and pine trees provide a view of the sea. 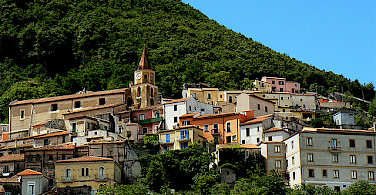 Coffee follows two small climbs to Ascea and Pisciotta. Selatterrain next as the road with tunnels bored into the mountain rock takes you into Marina di Camerota, but then it starts to snake up the mountain for a 6 mile (10 km) climb with breathtaking views. The last miles are spectacular: the road goes up and down with rocky mountains on one side and the sea down below on the other. You will spend the night in a hotel on the beach of Maratea. This last day is an easy spin to savor your accomplishment. 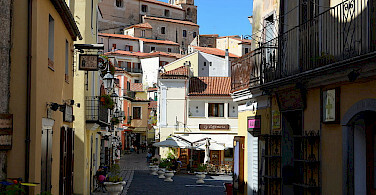 After circling the Gulf of S. Eufemia, a short hill gets you to the delightful piazza of Pizzo Calabro. Here you will stop for coffee and local sweets. 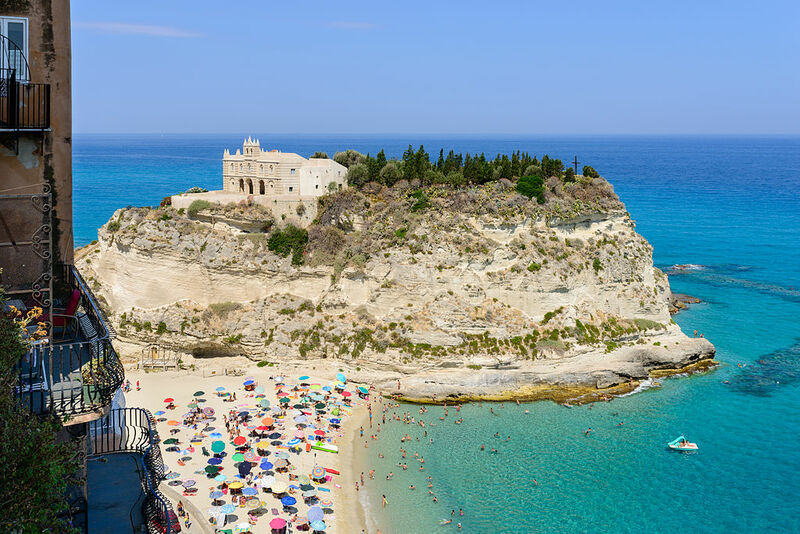 The early arrival allows time to enjoy the beauty of Tropea, the Pearl of the Tyrrhenian coast. This tour is run by Abcycle.